Our Mind Mapping and brainstorming software, iMindMap, has helped over 1 million people worldwide spark ideas, develop plans and launch projects into action. 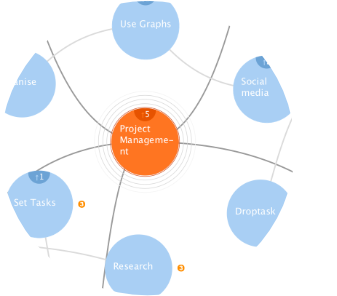 This year, we released iMindMap 11, our most powerful version yet. And, we want to make sure you’re getting the most out of your new visual thinking tool, and harnessing the entirety of its power. We have created a special-edition collection of resources, known as the iMindMap 11 Ultimate Plus Pack. This pack not only consists of our powerful, full-feature iMindMap software, but comes with 4 additional products that have been carefully curated by industry experts to level up your visual thinking skills. Learn below how the iMindMap 11 Ultimate Plus Pack will help you apply creativity to your everyday, with easily implemented skills and processes that will drive better-than-ever ideas and results. Tony Buzan’s ‘Most Important Graph in The World’ is the basis for creative thinking and an early foundation of Mind Mapping. The graph reveals the secrets of how to apply the key principles of memory to drive business and personal success. Research shows that people forget more than 50% of the information they receive during communication. The Most Important Graph in The World will help you to understand the patterns of memory and gives you a proven formula that will make your next presentation unforgettable.